Hi there! Today I have a card to share with you using My Favorite Things goodies. A couple of weeks ago my sweet friend Lisa Henke and I were chatting on Facebook and we challenged each other to pull out our My Favorite Things stamps and put them to good use. First off to color my little Pure Innocence I first black embossed my image onto water color paper, because I wanted to use my new Spectrum Aqua Markers by Crafter's Companion. These goodies just arrived to my house on Tuesday and I had to play with them right away and I am pretty happy with the outcome. 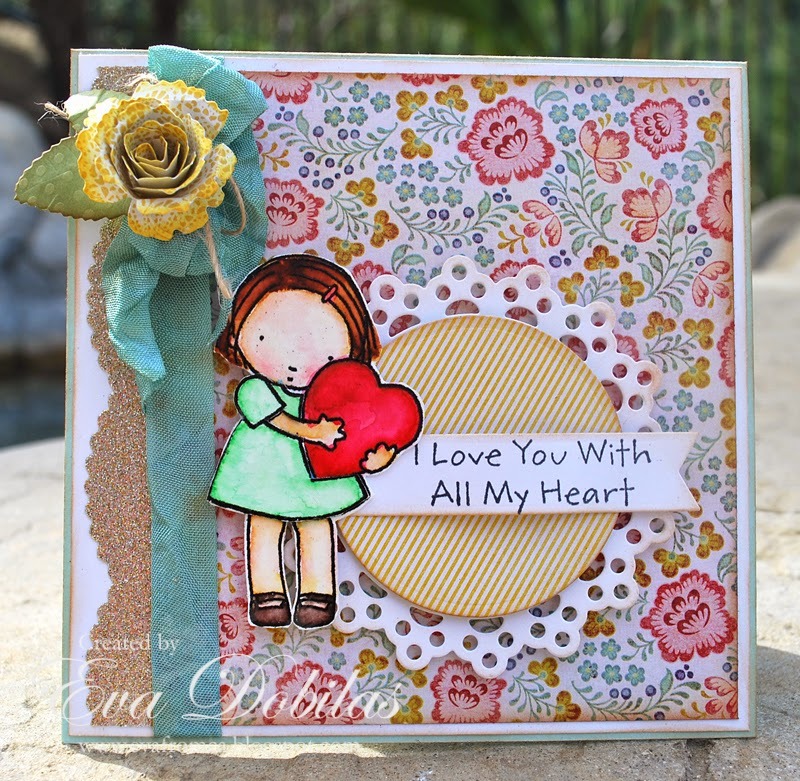 To create this cute little card I used the following MFT supplies. Border and doily are no longer available.